William Parry Murphy was born on February 6, 1892 in Stoughton, Wisconsin. His father, Thomas Francis Murphy, was a congregational minister with pastorates in Wisconsin and Oregon. 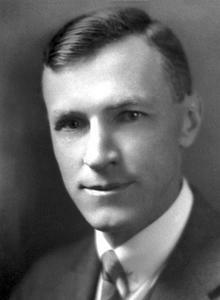 Murphy was educated in public schools in Oregon and Wisconsin and the University of Oregon where he took an A.B. degree in 1914. He spent the next two years as a teacher in the public schools in Oregon teaching physics and mathematics. After the short stint teaching he decided to attend medical school. He started in medical school at the University of Oregon medical school in Portland, where he also acted as a laboratory assistant in the department of anatomy, for one year. He then attended a summer seminar at the Rush Medical School in Chicago. He was then awarded the William Stanislaus Murphy Fellowship to Harvard University Medical School, which he retained for three years, graduating with his M.D. in 1922. He spent two years as a house officer at the Rhode Island hospital and then he was assistant resident physician at the Peter Brent Brigham Hospital. He held this position for 18 months and then was appointed Junior Associate in Medicine. In 1924 he was appointed Assistant in Medicine at Harvard University and from 1928 to 1935 he was was Instructor in Medicine there. From 1935 to 1958 he was Lecturer in Medicine and in 1958 was made Senior Associate. He was Emeritus Lecturer thereafter. From 1923 his research dealt with diabetes mellitus and blood diseases. It is his work on pernicious anemia (a form of the disease characterized by a lower than normal amount of red blood cells) that he is remembered for. In 1924, working with George Minot, he bled dogs to make them anemic. He then fed them various substances to see if any would help with the dogs anemia. He found that a diet of liver relieved the anemia. Later he was able to isolate vitamin B12 as the agent that relieved the anemia. Pernicious anemia is a form of anemia characterized by the inhibition of DNA synthesis in red blood cell progenitors, that results in the formation of large, fragile, megoblastic erythrocytes. The cause of the disease can be a dietary insufficiency of vitamin B12 or an autoimmune reaction against intrinsic factor, a protein secreted by parietal cells of the stomach mucosa. Intrinsic factor is responsible for the absorption of vitamin B12. Vitamin B12 cannot be synthesized by the body and thus must be absorbed from the diet and normally the body stores 3 to 5 years worth of the vitamin in the liver. When the absorption process is blocked by an autoimmune reaction against intrinsic factor or the parietal cells pernicious anemia results. If the body cannot absorb B12 trough normal means the disease can be cured by intravenous injection of the vitamin otherwise oral B12 can be used. For their work discovering the cure for pernicious anemia Murphy and Minot were awarded the Nobel Prize for Physiology and Medicine in 1934, sharing it with George H. Whipple who first suggested raw liver as a treatment for pernicious anemia. Murphy was also awarded the Order of White by the country of Finland, the Cameron Prize from the faculty of the University of Edinburgh and the Gold Medal from the Massachusetts Humane Society. He died on October 9, 1987.